A lot of labels on this blog speak to men. This one speaks loudly to women. 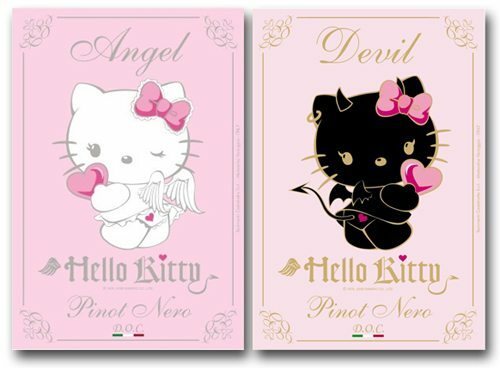 Above are two of four Hello Kitty table wines imported from Italy by USA Wine Imports of New York, NY. one of many simply drawn fictional characters produced by the Japanese company Sanrio. Designed by Ikuko Shimizu, the first product, a vinyl coin purse, was introduced in Japan in 1974, and in the United States in 1976. … The Hello Kitty line has since developed licensing arrangements worth more than $1 billion a year in sales. Examples of products depicting the character include dolls, stickers and greeting cards to clothes, accessories, school supplies, dishes and home appliances. This might be good for Valentine’s Day. Sanrio has licensed an awful lot of Hello Kitty products, and who would not enjoy a Saturday afternoon flaunting their Hello Kitty Lawnmower? Nothing like isolating the better-sized portion of your market…men. Hope they have a good supply of new labels to paste over these when they sit in the sale bin gathering dust. Ask the owner of Honey Rose beer what happens when you advertise your product as a beer brewed for women? Oh wait…they’re out of business. Surprisingly, this apparently is an authorized, licensed product from Sanrio. Either they are not concerned about their valuable intellectual property (which has a squeeky clean, kiddie image), are admitting that the brand is at the end of its lifespan and are licensing anything (soon: Hello Kitty handguns!) or they are looking to capitalize on their aging demographic (Hey Young drinkers! You remember playing with Hello Kitty – now get toasted with Hello Kitty!) Either way, this seems like a bad idea for a famous trademark. Sanrio apparently pulls in revenues of close to $1 billion U.S. a year, most of which comes from its extensive HELLO KITTY licenses. In Japan, both adult men and women buy HELLO KITTY products. It is a very popular brand with affluent women in Europe and North American as well. Who knows – if the wine is any good, the product may very well be a success. I think approval of these labels pretty much invalidates the [former?] TTB ALFD policy of not approving labels with cartoon characters because they might appeal to children. With the recent approvals of anime characters I don’t believe ALFD has any basis not to approve labels with cartoon images. While I question the wisdom of this [past?] 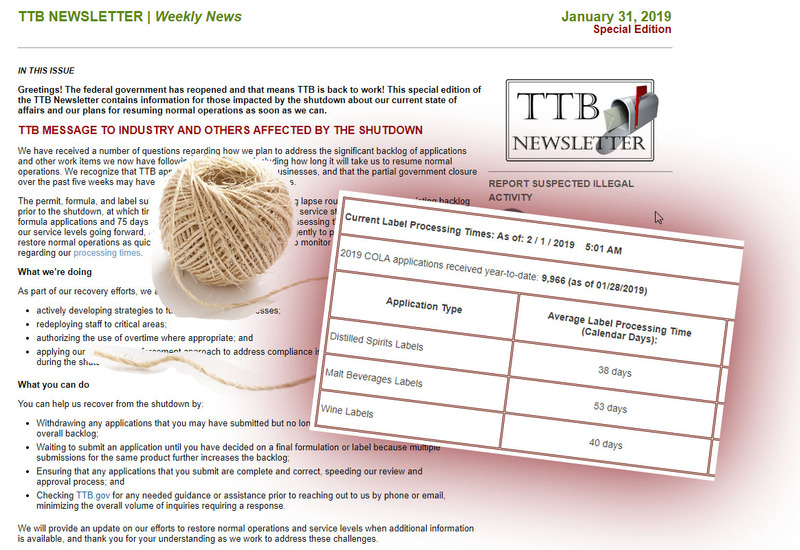 policy, it’s inexcusable for TTB to approve some labels and reject other for the same reasons. If Hello Kitty is acceptable on a wine bottle than TTB has no basis to reject Scoobie Doo Bourbon, Super Mario Chianti, and so forth. After the E-Bay auction never hit the reserve price in 2008, I assumed that Honey Amber rose had folded its tent. I’m happy to see, as per co-owner Kent Chamberlain in a recent e-mail to me, that the brand is still selling in the Florida market. 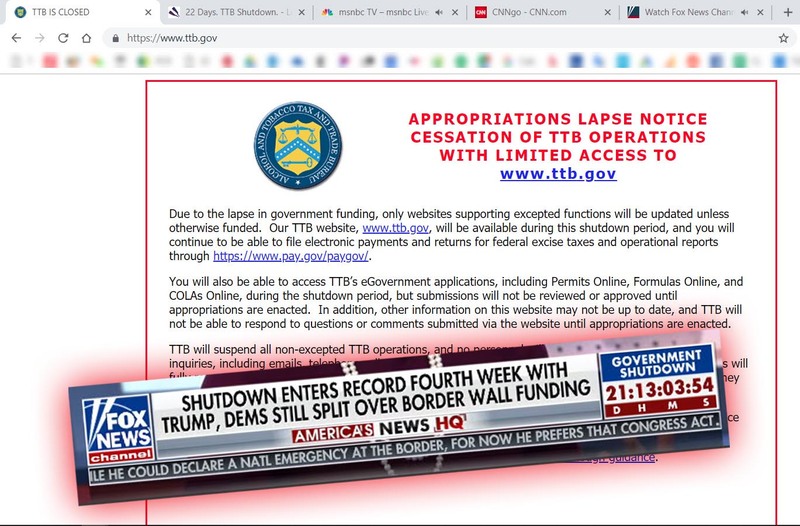 The whole reason for the E-Bay auction attempt was to bring the beer “…to the next level…” as their July 21, 2008 press release stated, although I’m not sure what that means exactely, since they were selling the entire operation, proprietary information and their website. 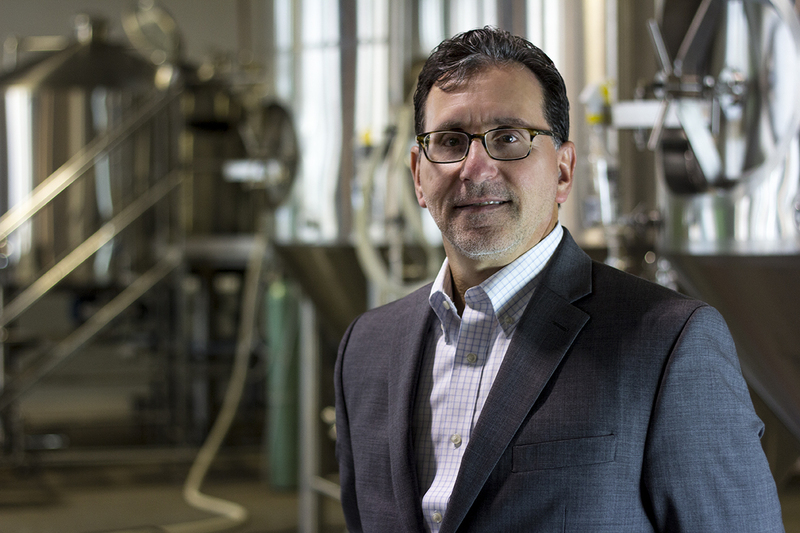 When you’re trying to bring a beer brand “…to the next level…” advertising it as chick beer can cause a world of problems, despite ancedotal claims that co-owner Abby Waters has also made to me that “…50% of sales are to men…” How would a small-sized business be able to make an objective claim like that? There have been a number of earlier attempts to distribute beers brewed and targeted for the gay community. They failed. In Chicago during the ’40s and ’50s, locally-brewed Tavern Ale was promoted as “A Man’s Beer.” That brand also failed. Mainstream beers are criticized regularly for their T & A approaches to advertising and turning off female beer drinkers. Succesful distribution and advertising are hard enough when bringing a new beer to market. 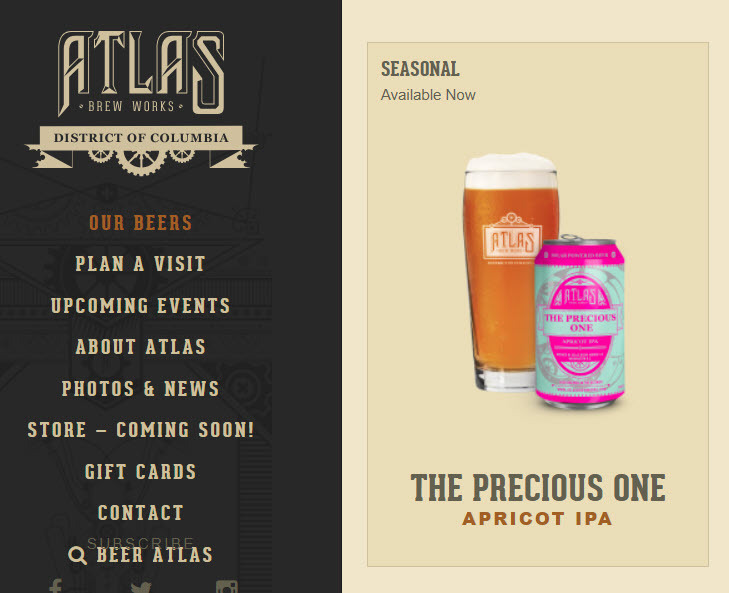 In my personal opinion, segmenting the market, in this case by advertising the beer and trademarking the brand as THE FIRST BEER FOR WOMEN, presents a nagging problem for future market growth.